A brilliant piece, Lawrence. I'm grateful for it. 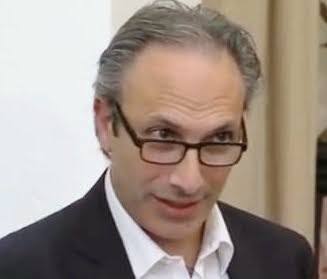 My question is how you, that is to say, how any of us, can reconcile the rules of the game as we know them to be, with our modus operandi (collectively, I mean) which is based on believing the Hillary Clinton's, the HMG's, the Bank and the IMF, are ever going to be willing to change the rules of the game sufficiently to make the difference we all hope and, in our different ways, work for. Now you may say that what other choice is there? And this is something critics like me need to reflect on, and too often dismiss. But I put it to you that people like you need to consider whether the fundamental asymmetries of power of which you speak are not at the heart of the system to which the (very decent people) in Western governments with whom work are completely committed. Surely, this is the problem with actually existing development (the phrase is Colin Leys's): because the system depends on power asymmetries --- on hegemony, as we would have said in my youth, and that I think I'll be saying till I'm in the ground), the reforms will always be insufficient, and never get at the root of the problem. I believe this is why technical fixes a la Gates, or the chimera of civil society, are so attractive: they allow one not to think that the system a USAID or a DFID serve is fundamentally, that is to say, intrinsically unjust, unjust in its DNA. Great blog Lawrence! I too found myself lured to this book, not by the media hype surrounding it and its film, but by my 11-year-old’s reaction to reading the first few chapters “ it makes me realise how much we have and how lucky I am not to be poor and hungry”. Could this be the beginning of change in the system’s DNA David? You omitted a crucial piece in the Hunger Games message Lawrence – that no matter how skewed the power dynamic might seem to be, carefully targeted civil action can lead to profound change. 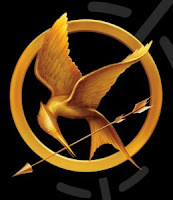 For the children DID manage to change the rules of the Hunger Games – seemingly against all the odds - by … no, you should read the book for yourselves! And if you’re interested in more inspiring, real, examples of how ‘the system’ was thwarted by civil protests, read “Small Acts of Resistance” by Steve Crawshaw and John Jackson. A thought provoking piece! You have made me read the book and I am looking forward to seeing the movie. I like that Lola has pointed out the role of the civil society in bringing about change.. however, for those of us in Africa, the main problem lies in the lack of political will, lack of enabling policy environment and private sector buy-in, lack of indigenous technologies that take into account the peculiarities of the African soil, climate and weather conditions, that have further exacerbated the decline in agricultural productivity thereby increasing the number of food insecure populations across the continent. At the Forum for Agricultural Research in Africa (FARA) we are doing our best to facilitate agricultural research that will help countries increase their total factor productivity and lead to growth but the afore mentioned points remain stumbling blocks. Lola, great point, and something that speaks to David's point. I should have mentioned that. It is a small challenge the rules, but enough to annoy the authorities in the book and mass movements oftern start with small things. Ertharin, great that the movie executives are putting some of the revenues into fighting real hunger...perhaps there should be a $1 surcharge on tickets for each of the next 2 films that come out in the trilogy. I agree with you, Lawrence, about the issues of power and inequalities. We can end the real hunger games once and for all. To do this, all governments need to step up tackling the root causes of hunger e.g. high food and energy prices, conflict, inequality, trade barriers, land grabbing, low investment in agriculture, climate change. These are depicted in an infographic, inspired by the arena in the Hunger Games, that shows why hunger still persists all over the world in our day and age, despite there being enough food for everyone. I loved reading the books which reminded me of the many heroes and heroines in the real world of hunger that I’ve met, who battle against hunger on a daily basis. For example farmers, pastoralists and aid workers who are caught up in the conflict and military coup in Mali that has exacerbated the food security situation. But donors can’t wait to act until we see starving children on our TV screens in a few months time, as if it were a televised version of The Hunger Games. Longer term, we need strategies to prevent predictable food crises and tackle the reasons that increase people’s vulnerability in the first place.